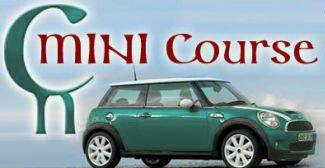 Our Mini Course is a two hour preview that includes information from our full 10 week Referral Pursuit program. You will leave this course with essential information on how to “connext to your next referral“. What are the benefits of a CN Mini Course? The CN Mini Course is the first step in gaining the confidence you need to be successful. In this course you will experience major “aha” moments that will help get you on the correct path. Bring a friend, partner, or current referral partner and learn how to become the best referral teammates possible. How much does the CN Mini Course cost? The CN Mini Course is extremely affordable and provides essential knowledge in becoming a strong referral partner. Our two hour mini course costs just $35 per person or $40 for a team of two. Decide when you want to start your journey to success.